Everyone knows that the more programs you install on your Windows PC, the longer it takes to boot into Windows. This is because, as you install more or more software, some of them start with Windows, delaying the boot process. Windows 10, as with the case of earlier versions, ships with an option to disable startup programs or applications that load with Windows. By navigating to Task Manager > Startup tab, you can see all programs that start with Windows 10 and also remove programs from startup. Along with startup programs, the Startup tab of Task Manager also shows the impact of startup programs on Windows boot. We recommend you disable “high impact” programs to improve the boot time unless the program is absolutely necessary. Never stop antivirus, firewall and other security software from starting with Windows. While disabling startup programs, you might come across programs or entries that you have not heard before. To check the authenticity of unknown entries, you can check their locations on your PC. Luckily, finding the location of startup programs is easy. With the help of Task Manager, one can find out the location of startup programs. Here is how to do that. Tip: You can access the Startup folder by typing Shell:startup in the Run command box. To make a program load with Windows, please refer to our how to start programs at startup in Windows 10 guide. Step 1: Open Task Manager. 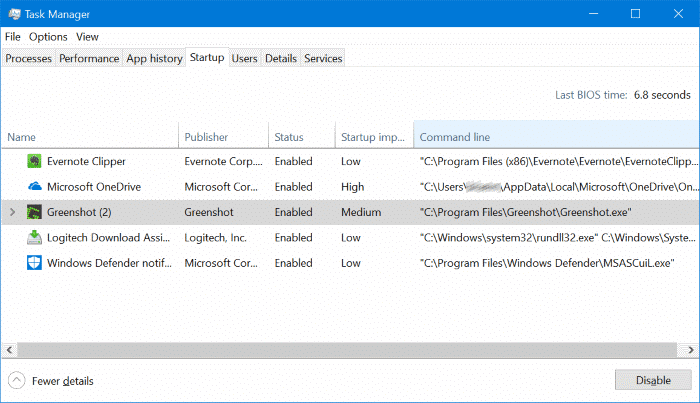 There are many ways to open Task Manager in Windows 10, using Ctrl + Shift + Esc is probably the easier one. If you see the following view of Task Manager, click More details to see the full-version. Step 2: Switch to the Startup tab by clicking on the Startup tab. 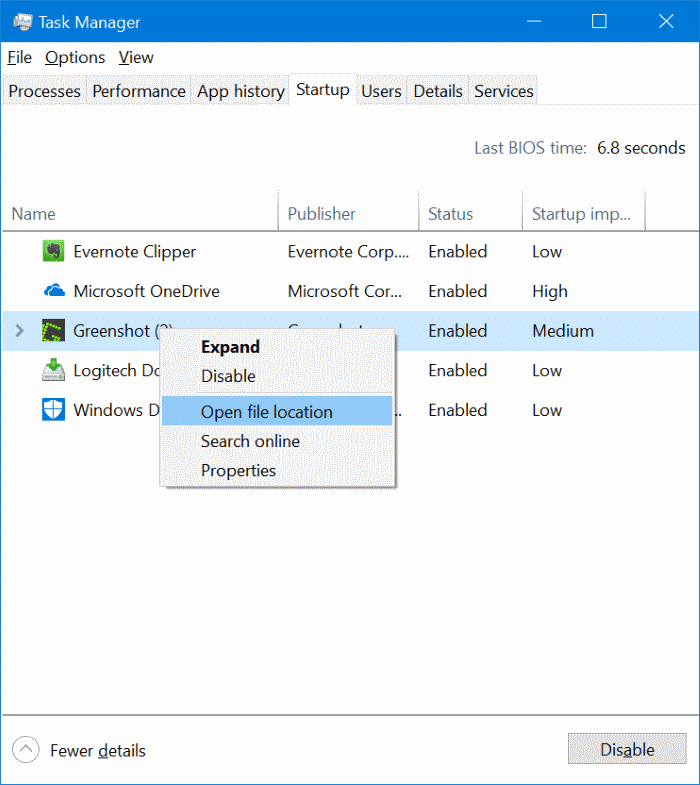 Step 3: Right-click on a startup program and then click Open file location to open the original location of the program on your PC in File Explorer. 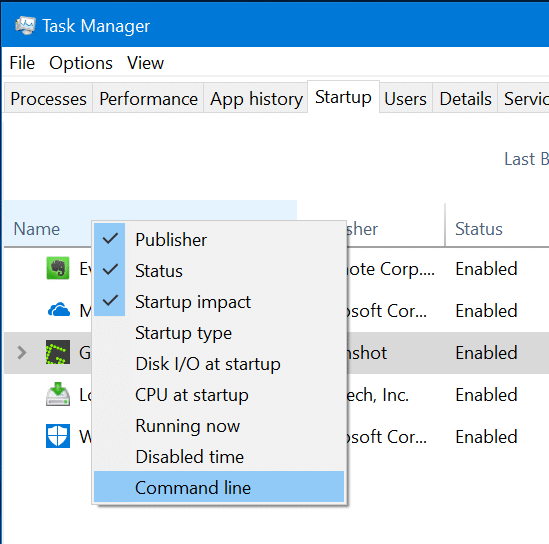 In addition to the above method, you can also configure the Task Manager to always display the path to all startup programs. To do so, right-click on Name column and then click Command line to add Command line column to the extreme right. As you can see, the Command line column shows the location (path) of the program.